The idea of walking around with a peach scented face was exhilarating and the shade range is one that goes beautifully with my skin tone, which is what lured me in. 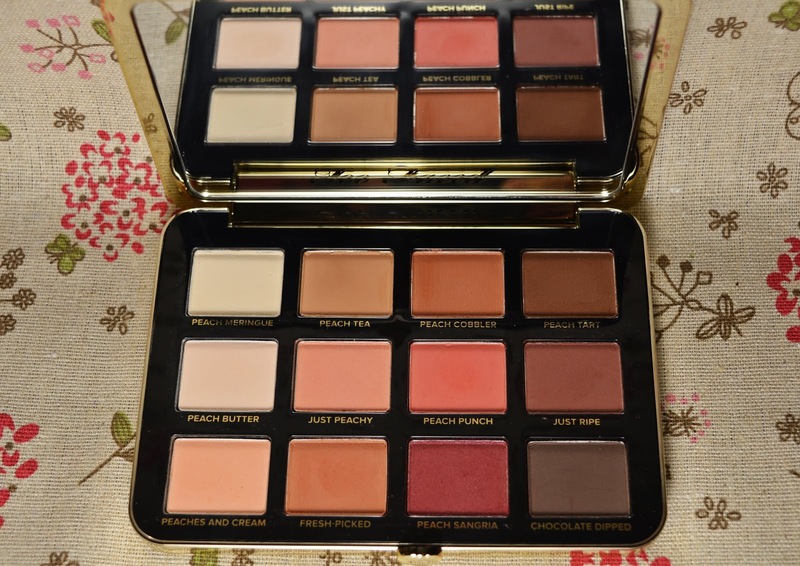 The too faced peach collection is right up my alley and this palette did not disappoint. The thought of having all of my favourite peaches and peach-toned shadows in one was refreshing. The packaging of this palette is gorgeous, its gel-like cover and gold accents caught my eye. It comes with 12 shades, weighs 15 grams and is 55$ at www.Sephora.com. After experimenting with this palette for almost 1 week straight, I've found that the light shades are very similar as are the mediums, but are great for achieving the perfectly blended peach smokey eye. The colour pay-off is good, not the best, but again, in some cases I prefer a slightly less pigmented and more build-able palette. I was pleasantly surprised with the shade "Peach Sangria", the peach undertones to this plumb shade and the finely milled shimmer go oh so well together. 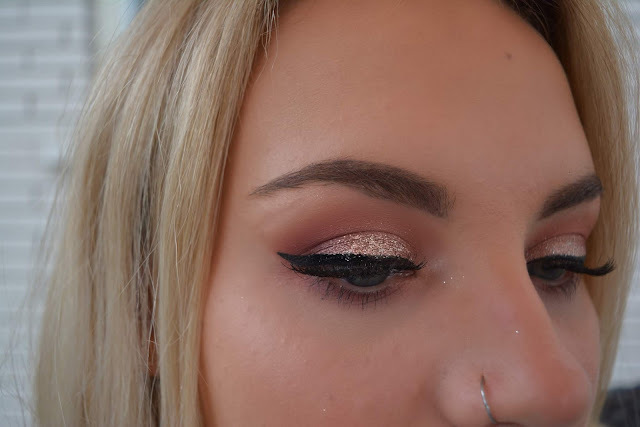 "Peach Meringue" and "Peach Butter" have some chalkiness to them, but are very blend-able and make a great base for any look I do, throw a little glitter on top and you're ready for an evening out! I was pleasantly surprised with the shade "Peach Sangria", the peach undertones to this plumb shade and the finely milled shimmer go oh so well together. Overall, Too Faced did well in my books, the shades are pigmented, fallout is minimal, many looks are easy to achieve and the smell is fantastic!